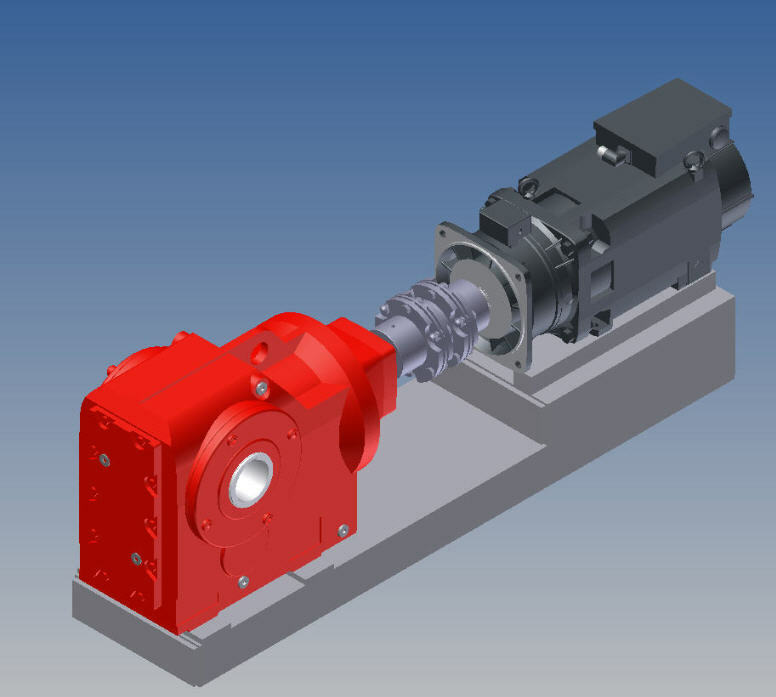 The gear box, free from backlash, guarantees extremely stable and precise running. Your caterpillar or capstan may be stopped because of an obsolete drive or motor. Don't keep your customers waiting and let your reputation suffer. 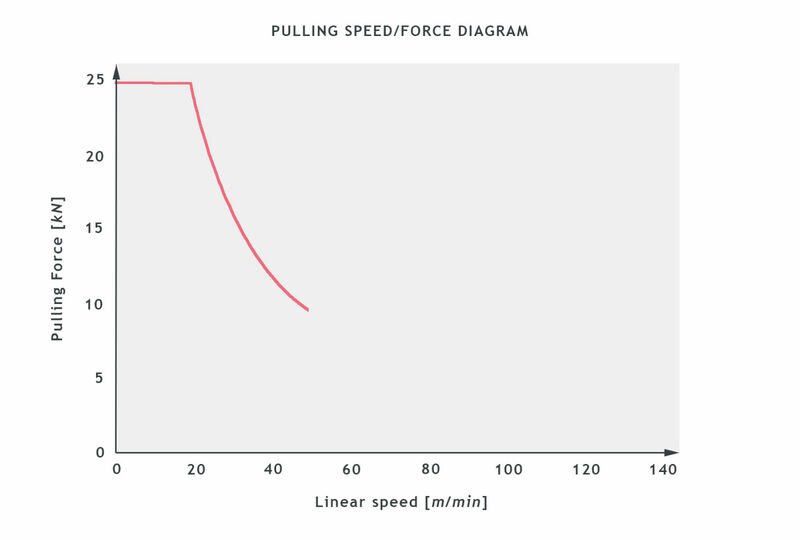 Have your process requirements changed; do you need more speed or more pulling force from the equipment? The capstan is designed to serve as a metering unit in vulcanizing lines to ensure reliable operation in long runs. 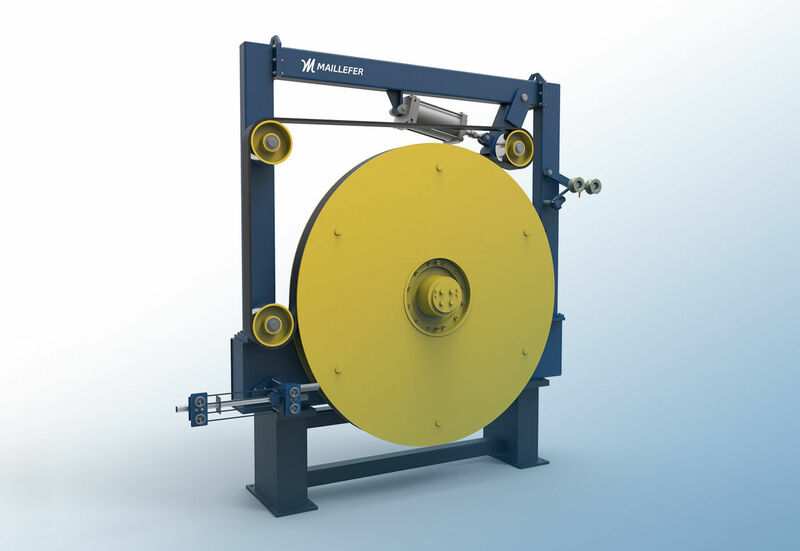 The conductor is guided between a rubber coated driven pulley and a pneumatically tensioned rubber belt. This ensures that the taped delicate conductors are not damaged.